One Tree Hill, Gavin has built a strong following of fans with brilliant singles like Not Over You, Chariot, Follow Through and In Love With A Girl. Now he's done it again with his new single Best I Ever Had. 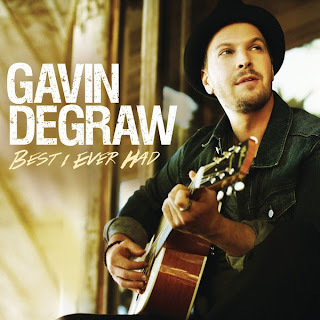 Displaying all the Gavin DeGraw hallmarks this is one fantastic song. Blue Eyed Soul mixed with Pop and Rock is the best way to describe Gavin's music and Best I Ever Had displays so many layers to it - great beat, orchestral sound but with southern USA style mixed in. Gavin knows exactly what song suits his voice and this is just perfect. Loving this song in the SCP office at the moment and we hope that Best I Ever Had is Gavin DeGraw's biggest single to-date..!